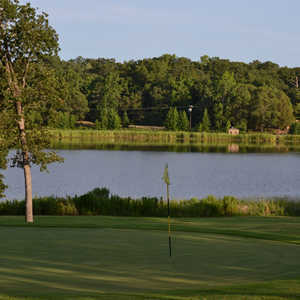 Eagle's Bluff is one of the longest courses in Texas that can play as long as 7,300 yards during tournament play. 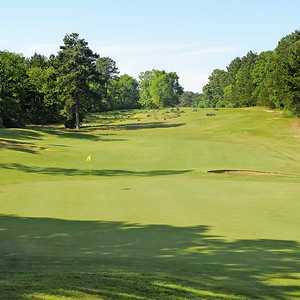 Eagle’s Bluff features an Augusta National-like environment along the eastern shore of Lake Palestine. Emerald Bay CC is private club nestled along the shores of Lake Palestine. This scenic course features narrow, tree-lined fairways and large, elevated greens. Surprisingly, there’s not much water on the course, but three of the holes force a carry to the green. In 1993, Carlton Gipson designed the highly acclaimed Oak Hurst Course, which has hosted numerous professional tournaments over the years. The Dallas Morning News has featured the course in their “Diamonds in the Rough” pieces about outstanding rural Texas courses. 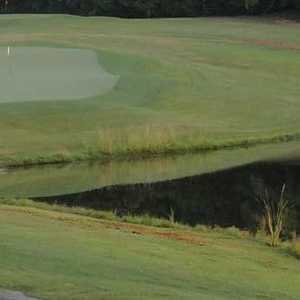 The Peach Tree Golf Club debuted in 1984 with their short, executive-style course, the Peach Tree Course. This simple track is popular with rookies and high handicappers. Getting there : From Tyler, take Hwy. 69 south and exit County Rd. 145. Go west and follow the signs for 1 mile to the club.